January 1968, the start of the fourth year of American combat involvement in Vietnam. 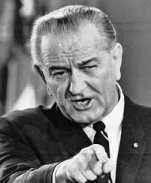 Lyndon Baines Johnson is the President of the United States and General William C. Westmoreland is the commanding general of the American forces in Vietnam. 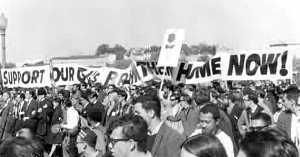 At home, an anti-war movement gathers strength. General Westmoreland has alluded to an end of the war being in sight. Members of Congress are becoming concerned about the effect of the war on the coming elections. 19,560 Americans have died in Vietnam. Marine Sergeant Mike Warner is back for his second tour. He was wounded and almost killed the first time. He tried to run out his enlistment at Quantico, but they called his number for a second trip. He has all the reasons in the world not to come back, but they only matter to him. Frank Monin is a CIA senior regional supervisor. He has been in Vietnam off and on for over five years. 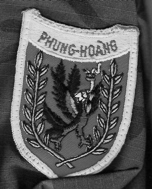 He is considered an "old hand" in Vietnam, and has been charged with implementing the Agency's newest counterinsurgency plan to eliminate the Viet Cong infrastructure. The plan is called the Phoenix Program. Wally Brumsfield is bureau chief for the Associated Press in Saigon. Like Monin, he has been in Vietnam since the early days of U.S. involvement. Brumsfield is an experienced journalist adept at finding the story behind the story and sorting fact from fiction. He does not know that he is on the verge of finding the biggest story of his career. Tran Van Ky is a barber at the American base in Phu Bai. He is well liked by the Americans, and to them he is a smiling, pro-American Vietnamese. 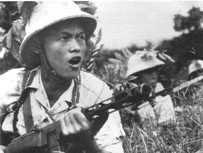 What they don't know, is that he is one of the highest-ranking Viet Cong cadres in Vietnam. He and his cohorts are planning a Tet surprise for the Americans that will change the entire course of the war. The story begins as the Viet Cong prepare for their largest assault on American forces ever -- the Tet Offensive. As the enemy plans, American intelligence agencies and the military are at odds over what the VC are doing. On January 31, the enemy launches an attack on every major city in Vietnam, totally surprising American and South Vietnamese forces. The story reaches a crescendo during the battle for Hue City, the bloodiest battle fought by the U.S. Marines since World War II. But the story is far from over. After Tet, the characters move closer to each other when they all play a part in the Phoenix Program. As these four characters play their roles, none of them realize that they are all destined to come together in a shattering and explosive climax. The Year of the Monkey shows the war and the unfolding events of 1968 through the eyes of these four men. As the story develops, they cross paths, and their lives become entangled in ways that none of them could have imagined. "The Year of the Monkey, by William W. Lewis is most timely. For me, it brings back memories long forgotten, and in sharp detail. It rings true...It's a page turner in the good sense: fun to read despite its serious subject matter..."
Dr. Al Past, iUBR Book Reviews. "It’s a work that I would stack favorably against any novel in its genre. It’s that good...The author does a great job in portraying all of his characters as real, nuanced individuals... This is definitely not a novel for the faint of heart, but if you are tough enough, The Year of the Monkey is a great read." Chris Gerrib, POD People, Book Reviews. "The author skillfully weaves the experiences of the four individuals into a seamless narrative about the Vietnam war. This narrative is fast paced and it also rightly forces the reader to contemplate the purpose, the conduct and the eventual outcome of wars...this book provides a compelling and insightful account of events that occured four decades ago but which - given recent happenings in Iraq and Iran -- have considerable relevance in contemporary times as well." 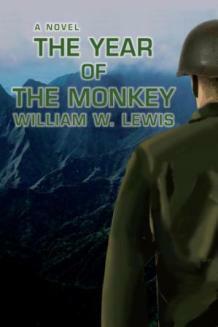 "William Lewis has written a very solid novel with The Year of the Monkey...With all of this set in motion William Lewis weaves an interesting tale of cat and mouse... If you like novels of action and war then I believe you will like this book...the author does have a good, tough style of storytelling that will definitely appeal to military literature enthusiasts." The Year of the Monkey is now available. 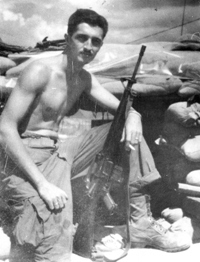 William Lewis served in Vietnam with the 5th Marines. A former journalist and veterans advocate, he was the Executive Director of the New Jersey Agent Orange Commission from 1991 to 1996. He lives in New Jersey and is currently a college instructor and small business owner.